The injured were transferred to a regional hospital in the area. 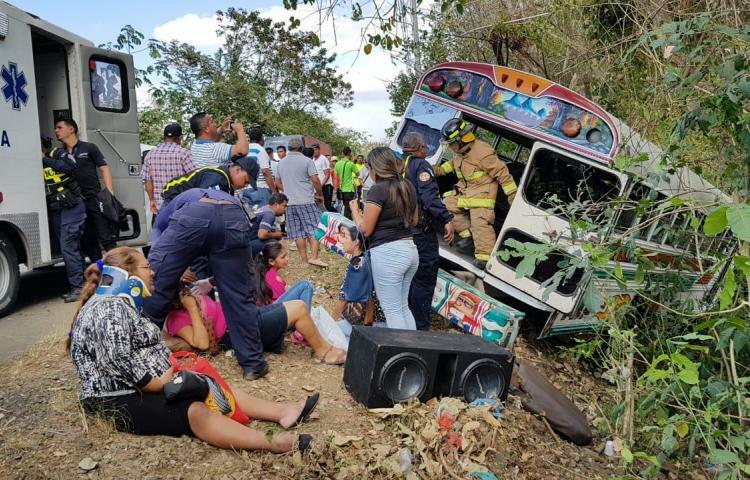 Passengers claim that the driver was racing and traveling at high speed since leaving Albrook. Earier in the week a multi-vehicle accident including a bus took the life of one passenger and sent 19 to hospital. Why do these bus drivers race with a bus load full of people? Passengers are never impressed by that. When did the old buses go from being called red devils to green devils? Was the bus a hybrid? ?